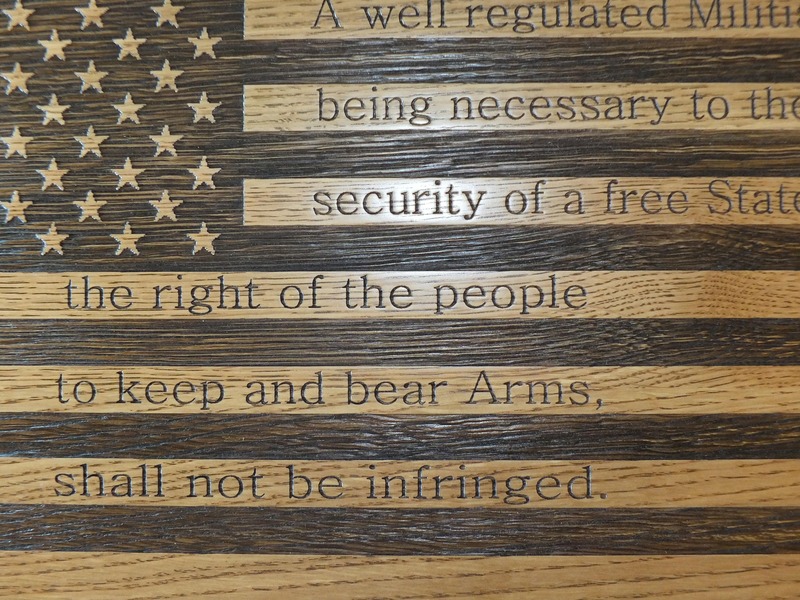 This beautiful American Flag with the Second Amendment wooden sign makes the best gift for Independence Day or for a history buff, merticulously engraved and finished. 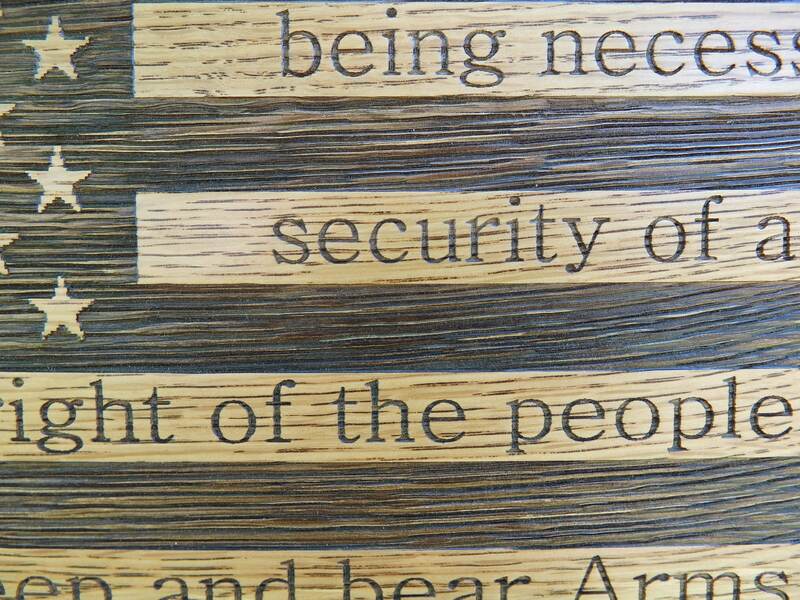 Our signs are laser engraved on beautiful North American hardwoods in your choice of walnut, cherry, maple or white oak. 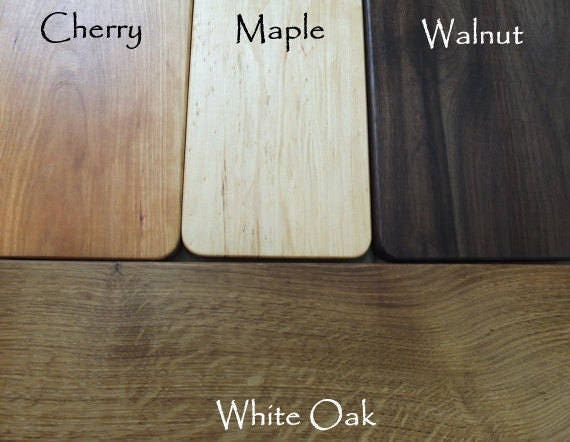 The wood is flawlessly finished and all surfaces sanded to reveal the beautiful wood grain, then finished with furniture quality conversion varnish. 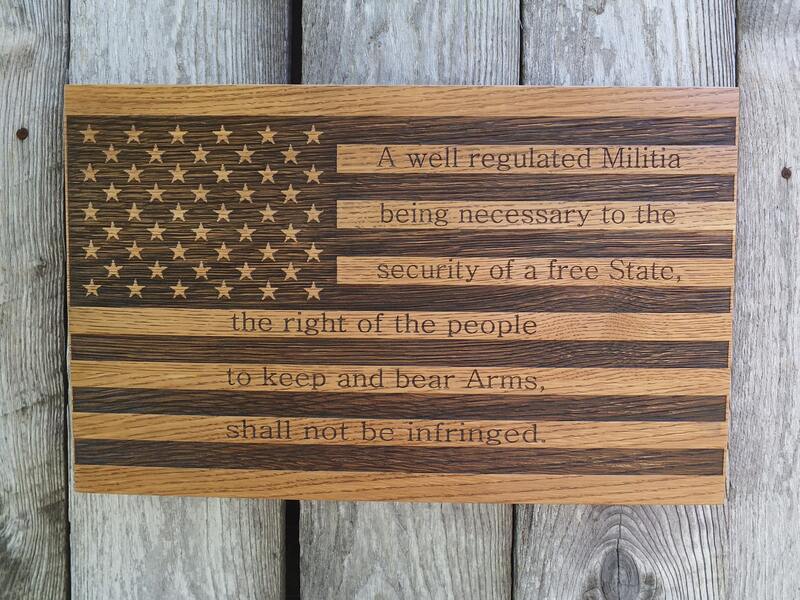 You have the option of adding an easel to display this beautiful board or hang on the wall. 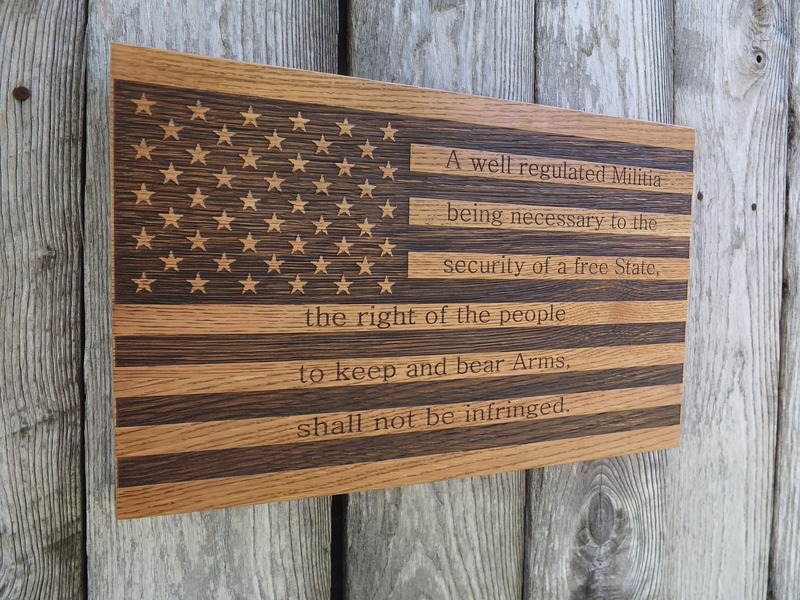 This sign is 10" x 16" x 1", shown above in white oak wood.